If you've been following this blog for long, you've probably “met” my brother, scriptwriter Douglas J. Eboch. I love talking about writing with him and following his screenwriting blog, Let's Schmooze. Novelists can learn a lot from movie writers. Here's an excerpt from the essay Doug wrote for my book Advanced Plotting. This works with our exploration of building your novel. Now let’s look at the components of three act structure. Probably the most important is the Dramatic Question. If you understand nothing else but the Dramatic Question and the Moment of Failure (which I’ll get to in a bit) you’ll probably end up with a fairly well structured story. The Dramatic Question is the structural spine of your story. On some level all Dramatic Questions can be boiled down to “Will the character solve their dilemma?” Of course that’s not very helpful to the writer trying to crack a particular story. You need to ask that question with the specifics of your character and dilemma. Those sound simple, right? Simpler is better when it comes to the Dramatic Question. But it’s not always easy to be simple. You have to know who your character is and what their dilemma is before you can craft a nice simple Dramatic Question. But then if you haven’t figured out your character and their dilemma, you’re not really ready to start writing yet anyway! I also think it’s good to phrase the Dramatic Question as a yes or no question. So it’s not “Who will Susan marry?” it’s “Will Susan marry Bill?” Keeping it yes/no helps you tightly focus your narrative. The Dramatic Question is not the theme of your movie. It’s not the hook. It’s not necessarily the character arc (sometimes it is, but not usually.) It doesn’t define whether your story is sophisticated or facile. Do not think the Dramatic Question determines the quality of your story. It’s simply the spine on which you’re going to build your story. What you hang on that spine is going to determine how good your script is. Just because a person doesn’t collapse under the weight of their own body doesn’t mean they’re beautiful, intelligent, interesting, or emotionally complex. However, if your spine isn’t solid, none of the other stuff is going to work properly either. The moment when the Dramatic Question becomes clear is called the Catalyst. The Catalyst is where the audience understands who the main character is and what their basic dilemma is. They may not understand the entire dimension of the problem, but they have an idea what the story arc will be about. So in E.T. the catalyst is when Elliot sees E.T. for the first time. We don’t yet know that his mission will ultimately be to get E.T. home or even that first he’ll have to hide E.T. And we don’t know that E.T. will start dying from the Earth environment. But we know that this kid who nobody takes seriously just found a little lost alien—and that some scary men are looking for it. We have a character with a dilemma. Once E.T. takes off in his space ship, the movie ends. Credits roll. The story is over. Compare that to the Lord of the Rings trilogy (screenplay by Fran Walsh & Philippa Boyens & Peter Jackson). The Dramatic Question is “Can Frodo destroy the ring?” He does, but then the movie continues for another forty minutes or so. Kind of got tedious didn’t it? The story was over. We wanted to go home. The structural beat where you answer the Dramatic Question is called the Resolution. Douglas J. Eboch wrote the original script for the movie Sweet Home Alabama. He teaches at Art Center College of Design and lectures internationally. He writes a blog about screenwriting at Let's Schmooze where he shares techniques like the ones in this article. See Doug’s entire 4000-word essay covering all the dramatic story points of three-act structure, plus much more, in Advanced Plotting. Get more essay like this one in Advanced Plotting, along with a detailed explanation of the Plot Outline Exercise, a powerful tool to identify and fix plot weaknesses in your manuscripts. Helping an audience find your books is one of the big challenges for all writers, but particularly debut or self-publishing writers. You can find a lot of mixed opinions about giving away free books as a promotion. I thought I’d share some experiences for my Wednesday series of posts looking at the business side of publishing. There are several ways you can give away free e-books – providing coupons on Smashwords, offering gift books that you send directly to the reader or buy and send through Amazon, or resetting your book’s price as free as one seller (usually Smashwords) so that Amazon will match the price. But one of the most effective methods seems to be joining Amazon’s KDP Select program. The disadvantage is that you have to pull your book off of all other sellers. This means your friends and family members with a Nook won’t be able to get the book, and some review sites won’t review books that aren’t available in all electronic formats. However, most independent authors find that the majority of their sales come from Amazon, so the trade-off may be worth it. Also, you can sign up for the Select program for 90 days at a time, so you can alternate between having your book available everywhere and using the Amazon program. The big advantage to KDP Select is that you can make your book free for up to five days in the 90 day period. Through proper promotion, this can lead to thousands of downloads, which can improve your book’s rankings, bringing it to the attention of potential buyers. But does it work? I decided to try this for myself. Shortly after I signed on to the program with Whispers In the Dark, I started hearing authors claim that the free book giveaways were not as effective as they had been previously. Amazon had change their algorithms, so free downloads are now only equal to a small percent of a paid sale, and so they no longer provided as much of a boost in rankings. My first book, Rattled, had been out over a year, and my second book, Whispers In the Dark, was published in December. Sales to date of these “adult” books published under the name Kris Bock (as opposed to my children’s books published under the name Chris Eboch) have been miniscule, three or four a month. I’ve done very little publicity, because I was focused on getting three books out so I could promote them all. I’m running behind schedule on publishing my third, but I wanted to use my free days before the first 90 days expired. At the advice of other authors on a mystery writers listserv, I submitted the information to Ereader News Today, Indie Book List, and The Frugal eReader. Some other sites either had a fee or didn’t seem to be active anymore. I also posted the info on Facebook, sent Twitter announcements, posted to a couple of GoodReads groups, and sent a notice to four listserves I’m on. I arranged for Whispers in the Dark to be free for three days, July 21 to23. In the top 20 romantic suspense free books, most had an average of four stars, with a few slightly over three stars. The number of reviews ranged from zero to several hundred, and didn’t seem to affect ranking. Based on my own habits, I would have expected the number of reviews to matter more, so I would have waited until I had around 10 reviews to promote the book. It doesn’t seem that other people shop the same way, at least for free books. However, having more and better reviews could mean more sales after the book is no longer free. In all, I had 15,149 free downloads (obviously those aren’t all people I know personally!). Now on to the important stuff – how did this translate into paid sales? And the sales spilled over to Rattled: 23 sold, 1 refunded, 22 net sold, 0 borrowed. A few other notes – I raised the price on Whispers in the Dark to $4.99 before I made it free, figuring that people tend to think they’re getting a better deal if they get a $5 item for free than if they get a $3 item for free. I don’t know if that affected the number of sales I’ve gotten since then, but I got more per book sold. 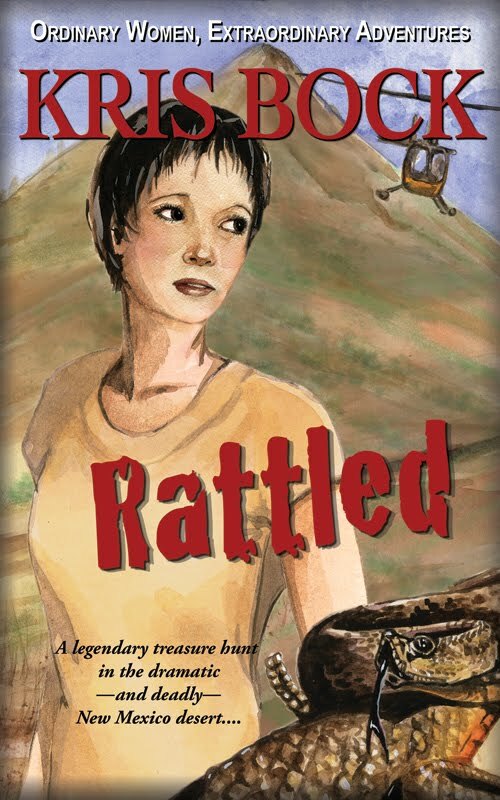 Rattled is still at $2.99. I know some of my friends and children’s book writing colleagues picked up the book because it was free. While we might prefer that people we know pay for our books to support us, realistically, that doesn’t always happen. I certainly can’t afford to buy every book from every writer I know! At least some of these friends have gotten a look at my books for adults, and one of them already read and reviewed it. I did this in a rush, because my 90 days were about to expire. 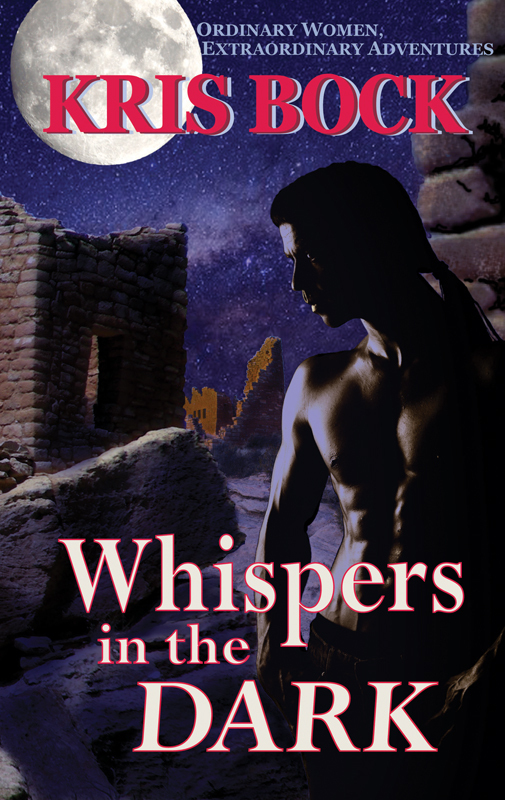 I debated signing up Whispers in the Dark again versus starting my next book in KDP Select. 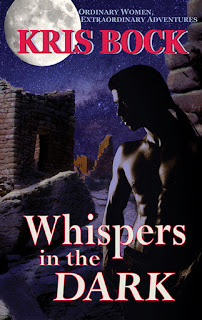 I decided to do Whispers again, even though the bump might not be as good the second time around, so I can use the giveaway to help drive traffic to the next book. I’ll probably make the new book, What We Found, available on Amazon and B&N for a month or so and try to get a few early reviews, then enter it in the program as well. I don’t think I’ll publish it on Smashwords, at least at first, because it’s harder to pull down from there to make it exclusive on Kindle. With direct publishing on B&N, I can remove the book within a day. Because Smashwords distributes to other companies (Kobo, Sony) it can take months to make changes. I’ve hardly made any money from Smashwords anyway. Next Wednesday, I’ll take another look at the KDP Select program by sharing the experiences of some other authors. See Kris Bock’s books on Amazon. I’ve been talking about the promise a first chapter makes and how to open strong. Now try these exercises to explore how the first chapter makes promises. Pick up one of your favorite novels. Reread the first chapter. What promises does it make? From your knowledge of the book, does it fulfill those promises? Repeat this exercise with other books. Try it with short stories and articles, judging the promises made in the first few lines. When you start reading a new novel, pause at the end of the first chapter. Could you identify the genre, main character, point of view, and setting? Is the main character facing a challenge? Make a note of these promises. At the end of the book, decide whether each promise was fulfilled. Try reading short stories and articles this way as well. Does it clearly identify the genre? Does it identify the setting, including time period, country, and urban/rural/suburban lifestyle? Does it suggest whether this is a school story, a family story, an epic interstellar journey, or whatever? Does it introduce the main character and possibly one or more other important characters? Does it clearly establish the point of view and the tone of the book (funny, lyrical, intellectual, or whatever)? Is a problem introduced quickly? If it is not the primary plot problem, does the opening challenge at least relate to or lead to the main problem? Few authors wind up using their original openings. Some authors write a novel, then throw away the first chapter and write a new first chapter — the one that belongs there. It seems like it’s almost impossible to write a strong opening until you’ve finished the rest of the book. The final version of the opening may actually be the last thing we write! Openings are a struggle for many of us, but don’t worry about the beginning during the first draft. Chances are it will change completely anyway, so wait until you have a solid plot before you start fine-tuning your opening. You need to know the rest of your story in order to figure out what your opening should be. Don’t stress about the opening during your early drafts, but do make sure you fix it later. Keep in mind that fixing the beginning may involve throwing it out altogether and replacing it with something else or simply starting later in the story. In the end, you’ll have the beginning you need. In Advanced Plotting, you’ll get two dozen essays like this one on the craft of writing. Advanced Plotting is designed for intermediate and advanced writers: you’ve finished a few stories, read books and articles on writing, taken some classes, attended conferences. But you still struggle with plot, or suspect that your plotting needs work. Buy Advanced Plotting for $9.99 in paperback, $4.99 ebook, on Amazon, B&N or Smashwords. I've been talking about getting your books off to a strong start. Now let’s go to Hollywood for some advice. I had the chance to interview some scriptwriters for a Writer’s Digest article some years ago. I’m adapting and expanding on that article. Authors dream of having their books made into movies. But even if your story never hits the big screen, you can make your work better by thinking like a scriptwriter. Apply screenwriting tricks to writing your novel and breathe new life into your work. Let’s begin at the beginning and look at one important part of a manuscript, the opening. You know how important this is—editors and agents often say they can judge a manuscript on the first few pages. But don’t let the pressure get to you. You can put together an opening that grabs your readers and doesn’t let go. If the opening is exciting, funny, sad or scary, the audience expects the entire movie—or book—to be the same. If the opening is boring, the reader assumes the rest is, too. I took my brother’s advice. Now my first chapter has exotic scenery, magic, humor and a huge food fight. And I found a way to work important setup information into all that action. For more on first chapter challenges and getting off to a fast start, click on the link to “beginnings” in the column to the right. If you’d like more insight into how a Hollywood scriptwriter works, check out my brother’s blog, Let’s Schmooze. Here are a few more screenwriters’ tips you can put to work in your novel. Character Development: Don Hewitt says, “It’s easy to have things happen to the character. He’s passive. But it’s always best that the action happens because of a choice.” Hewitt tries to base characters on real people. For him, it’s easier to know how they would really react and talk in any given situation. 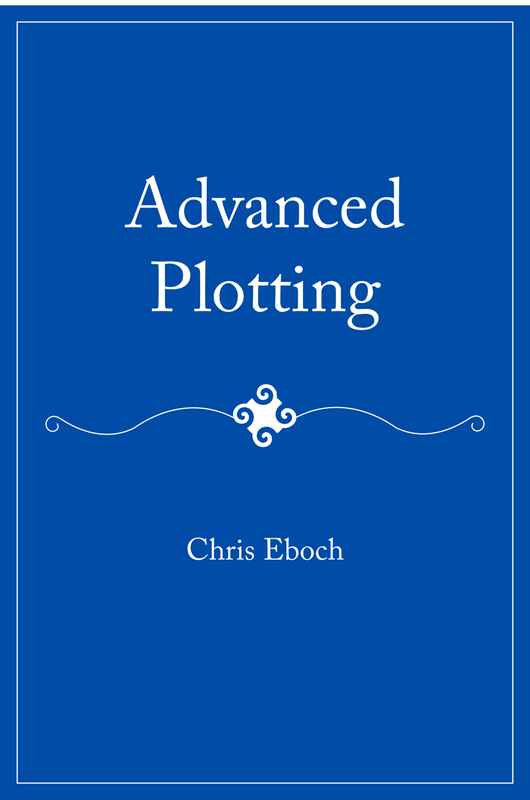 Advanced Plotting has tons of advice on building strong plots, including a detailed essay from Doug Eboch on the script writing "turning points" and how to use them. Buy Advanced Plotting for $9.99 in paperback, $4.99 ebook, on Amazon, B&N or Smashwords. Last week I talked about the promise a first chapter makes to the reader, and what you should include. This essay from Advanced Plotting continues with advice on getting off to a fast start so you create a strong first chapter. An opening introduces many elements of the story. Yet you can’t take too long to set the scene, or your readers may lose interest. You want to start in a moment of action, where something is changing, and cut the background. But don’t rush things — take a little time to set up the situation, so it makes sense and we care about the characters and what’s happening to them. On the other hand, if your beginning feels confusing or rushed, you might want to try starting earlier in the story. Try setting up a small problem that grabs the reader’s attention, luring them in until you can get to the main problem. In my novel The Well of Sacrifice, the Maya are dealing with famine, disease, and marauders in the early chapters, even before the king dies and an evil high priest tries to take over. That gives readers time to understand these characters and their unusual world. My Egyptian mystery, The Eyes of Pharaoh, opens with the main character running — an active scene, even though she’s merely running for pleasure. In the rest of that first chapter, Seshta, a young temple dancer, is focused on a dance contest she wants to win. This introduces a challenge and a goal, and the contest is a major subplot throughout the book, though not the primary plot line. By the end of the first chapter, Seshta’s friend Reya, a young soldier, warns her that Egypt may be in danger. She doesn’t believe him, but the reader has seen the seeds of the main plot, which will develop when Reya disappears and Seshta searches for him, uncovering a plot against the Pharaoh. The inciting incident — the problem that gets the story going — should happen as soon as possible, but not until the moment is ripe. The reader must have enough understanding of the character and situation to make the incident meaningful. Too soon, and the reader is confused. Too late, and the reader gets bored first. · Start in the action, at a moment of change. Then work in the back story. · Start with two people on the page. · Start in the middle of a fight or other conflict. · Start with a cliffhanger — something powerful about to happen. · Start with a small problem that leads to the big problem, or is an example of the main problem. With all the pressure to write a great opening, people often struggle to find an opening scene that is dramatic, powerful, and eye-catching! Something that will make the reader want to keep reading!!! We may see our opening as something almost separate from the full manuscript — something we can submit to a first pages critique or send to an editor or agent who only wants to see a few pages as a sample. But treating the opening paragraphs as an ad may not be best for the rest of the manuscript. A clever, funny hook is great — but only if the rest of the book is also clever and funny. Many readers will browse a book’s opening pages in a library or bookstore to decide if they want to take the book home. If you offer the reader a fast-paced, action-packed opening, when your book is really a subtle emotional drama with lyrical descriptive writing, you’re going to disappoint the readers who enjoyed the opening. Even worse, readers who would have enjoyed the whole book might never get past the opening page. The same holds true for stories on a smaller scale. Even if your story only lasts a few pages, your readers are making judgments during your opening lines. Don’t confuse them by starting one way and then turning the story into something else. Advanced Plotting can help. Buy Advanced Plotting for $9.99 in paperback, $4.99 ebook, on Amazon, B&N or Smashwords.